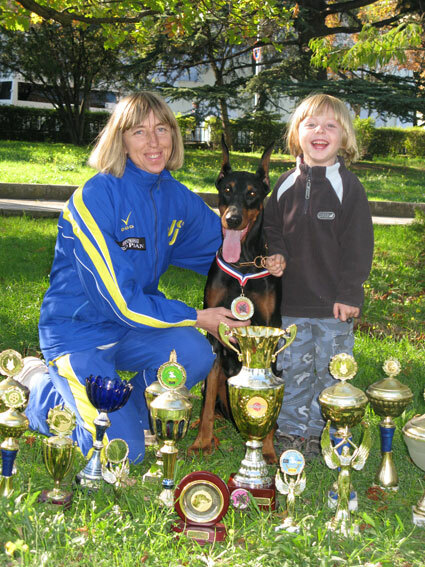 The Kennel" Komanda Azart" provides service on dog training of different breeds in small groups and individually on the programs of IPO-1, 2, 3, BH, Obedience – 1, 2, 3, OKD, ZKS, SG, Agility, Rescue Dog, FH. We invite the owners of 3 months puppies for the classes of instincts development, upbringing and basic skills for further training. The right early training is an essential condition of successful training! The instructors in dog training are: Lubov Tarasenko, Natalia Babkevich.